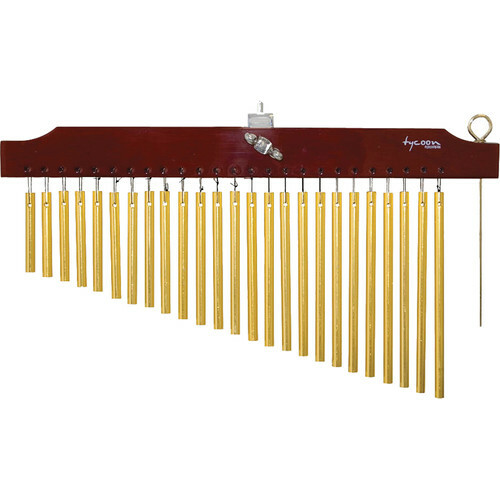 The 25 Gold Bar Chimes on Brown Finish Wood Bar from Tycoon Percussion is constructed of tempered aluminum alloy and a Siam Oak wooden bar. 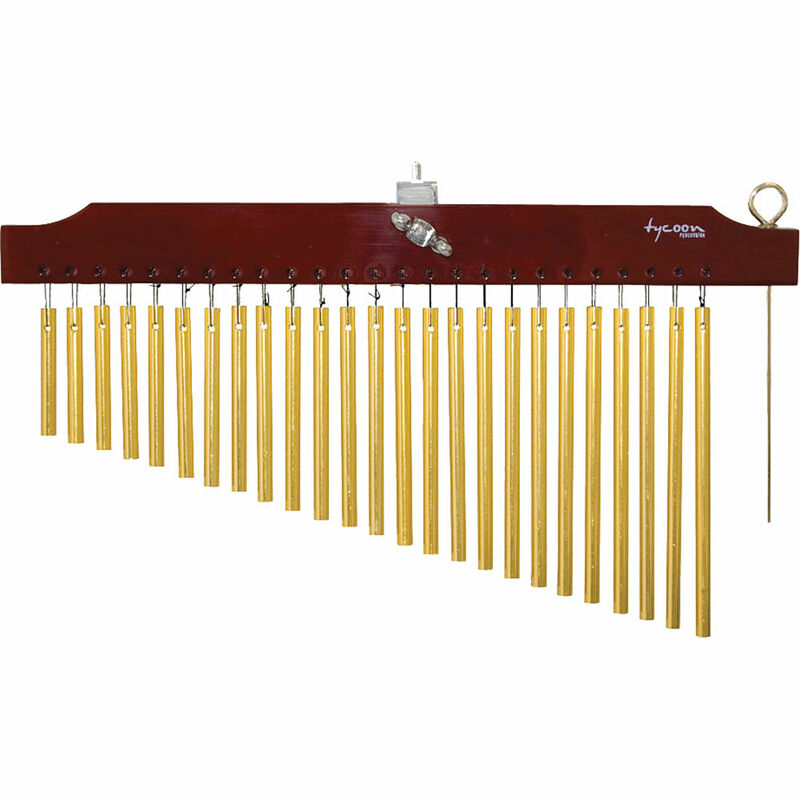 The bar chime is designed for any musical setting and produces bright sounds and tonal diversity. The bar chime features a storage slot for a bar chime striker (included). Box Dimensions (LxWxH) 20.5 x 9.75 x 1.25"